Get your day off to a good start? 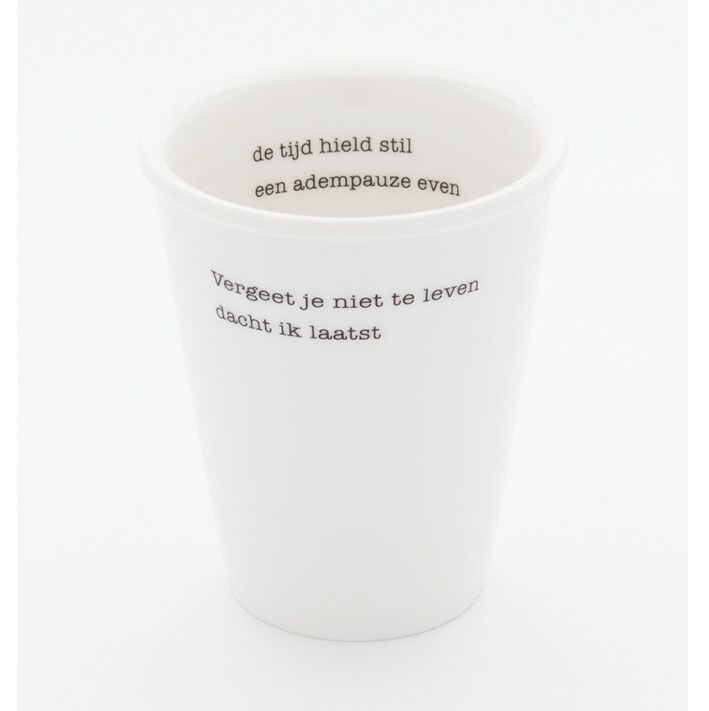 You can, with the Plint mug with poem from Kees Hermis. With a long day ahead of you, there's nothing finer than a delicious cup of coffee or tea. 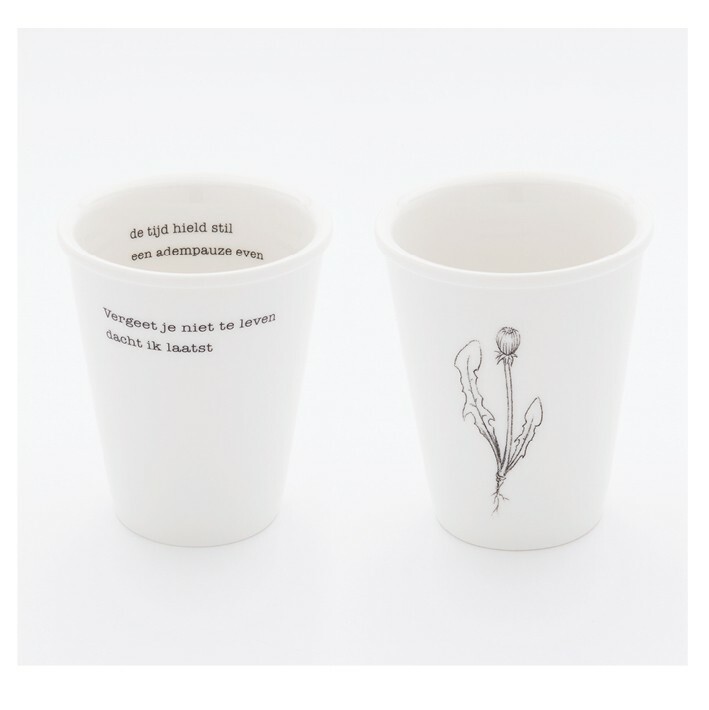 Have your warm drink in this stylish mug with poem. The text will get you thinking and put a smile on your face. 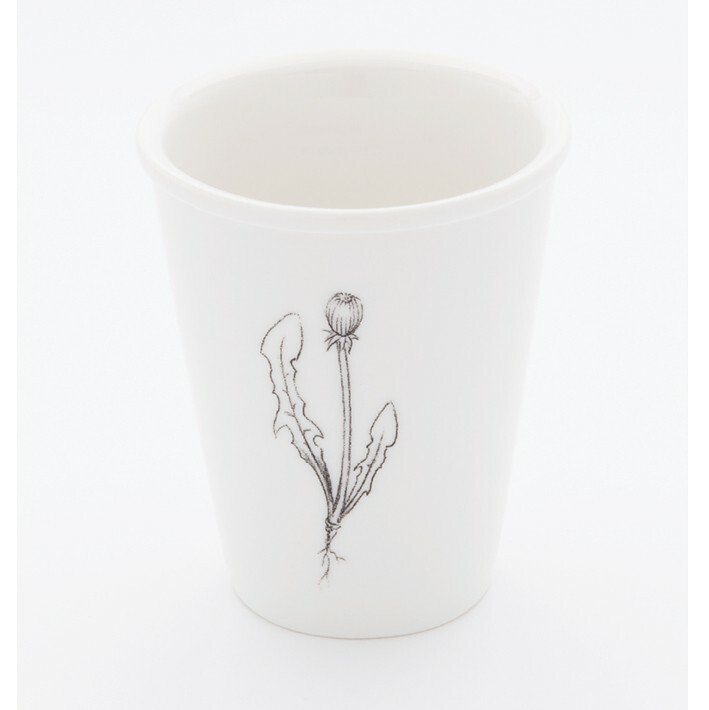 Don't hesitate, order the porcelain Plint mug for a good start to the day, every day. Poetry is the most important thing in Kees Hermis' life. The value of life is central to his poem, 'Don't forget'. Enjoy the small things in life, such as breakfast, while drinking a delicious cup of coffee from this mug. 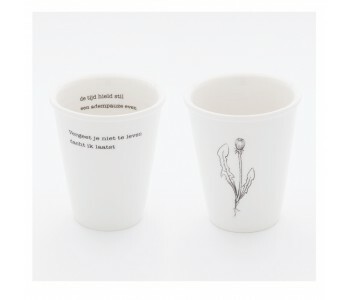 The Plint mug with poem is made from porcelain. The black letters are in strong contrast to the white beaker, giving the mug a timeless, chic appearance. Another advantage of the Plint mug with poem is that it is dishwasher safe. Are you impressed and inspired by this story, but this Plint mug is not quite what you're looking for? Take a look now, maybe there is something else in the Plint collection that is for you.